Marble countertops have a subtle sheen that makes them elegant adding timeless beauty to your kitchen or bathroom. A marble countertop will add a brightness that you can’t find in any other countertop. The unique colors and veining that you will find in marble make it classic and luxurious, and that makes one of the most popular countertops. It’s made from limestone or dolomite which is subjected to extreme heat and pressure giving it the unique veining. In this article, we tell you the pros and cons of marble countertops. Marble comes in different colors such as white, black, green, yellow among others. The countertop comes in different designs and colors, and you can customize it to match or complement the other features in your house. The spectacular beauty of the marble makes it more popular than any other stone. Its unique and no two slabs will look alike. Marble is soft, and that makes it possible to make fancy edges during the installation process. The cost of the countertop will depend on the thickness and size. Although the countertop is considered expensive the value and beauty gained will bring to your home makes it affordable. Marble is a natural stone, and that makes it more durable. It can withstand scratches, breaking and chipping better than other stones. When well-maintained marble countertop will last a lifetime. Make sure that the installation is done professionally and that will make the countertop last a lifetime. Marble is preferred by bakers and chefs because it remains cool and that makes it for rolling pastry. Marble countertops are heat resistant, however its best to protect it by not placing hot objects directly. Marble countertops are porous in nature, and they require often sealing to prevent liquids from sipping through. If not properly sealed the countertop will become stained. Ensure that the countertop is sealed often to make it stain resistant. If you choose a marble countertop to make sure that you don’t place heavy objects on them because that will cause the countertop to break. It’s ideal for a kitchen which is not very busy. Marble-like granite countertop is porous and needs to be sealed often. Make sure that a high-quality sealant is used on the countertop to keep it stain resistant. Acidic liquids may cause the marble countertop to etch. Make sure you clean the spills immediately. Clean the countertop with a mild detergent and water. Avoid using abrasive detergents because they will damage the countertop. Clean the countertop often to keep looking good. Follow the care procedure given by the marble dealer to ensure it lasts a lifetime. If your countertop has stubborn stains speak to the marble contractor on how to remove them without damaging your countertop. Make sure that the home remedies you use on the countertop don’t damage it. Before you settle on marble make sure that marble is right countertop for your home. You can consult the marble contractor and get advice on whether it’s ideal for your home. The countertop product you choose should perk up the value of your home and make your kitchen more functional. It’s imperative to make sure that the countertop is installed by Marble-granite installer for a professional outcome. Choose the countertop that will bring out your style. Follow the right cleaning procedure to keep your countertop sparkling for a long time. A kitchen will give your house a whole new look. Although it may look like a daunting task with the right team and proper planning you can give your house a face light, it’s important to ensure that you come up with a stunning design and that can only be achieved by proper planning. It’s imperative that you work with the right team. Whether it’s the cabinet or granite countertop installers make sure you hire an experienced team that will recreate your kitchen into the design you want. In this article, we tell you questions you should before you carry out the remodel. Asking these questions will help you plan and budget accordingly. What is the function of the Kitchen? Determining the function of the kitchen will help you decide what you want and the design of your kitchen. Work with the experts on various sections of the kitchen to bring out the style and design that will give your kitchen and home a new look. What is the budget and what features do you want to add to your home? Are there areas where you can compromise? It’s now time to review the quotations you have picked against the budget you have. If your figures are above the budget, decide on what you want to compromise. Expert advice is that you can use a granite countertop and use matching tiles for flooring. Compare the cost of different kitchen countertop and choose one that fits in your budget.While price is an important factor, don’t compromise on quality. How do I get the best layout? 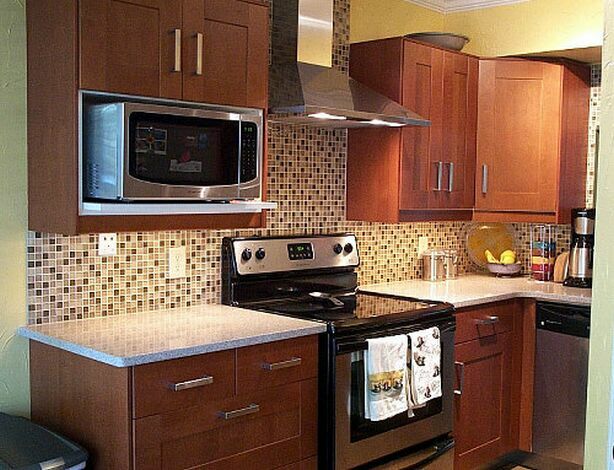 Work with the various contractors and come up with the best layout for the kitchen. Allocate each feature and appliance their space. Make sure the kitchen island doesn’t occupy a huge space and make the kitchen look crowded. The quartz contractor will be able to advise you on the best size of the island for the available space. It’s crucial that you work top-rated contractors because they can give you excellent design for your kitchen. When coming up with the layout take consideration of where to place the lights. Research and speak to the contractors on what you want to bring out. You can get a photo of what you hope to bring out and show the contractor. Depending on the kind of job you need to be done you may require a building permit. Consult an architect on whether you need a permit. If you choose to do small-scale renovations, you may not need a permit. How do you hire the contractor? The cabinet, flooring and granite contractors will play a huge role in how your kitchen will turn out. You need to ensure that you have the right team. You don’t want your granite countertop to be installed badly. Speak to family and friends and get referrals of the contractors you need. Make sure you work with the best team. The planning process is crucial because it will determine the success of the remodeling project. Follow the laid-out plan and ensure you work with the best contractors. If you need to install a new granite countertop Durham, make sure the installation is done by the best quartz-granite installers Rockville. Kitchen renovations are one of the most common home improvements projects. Revamping your kitchen will give your house a new look and perk up the value of the home. It will cost you money and it’s therefore important that you ensure it’s success. Whether it’s the kitchen countertop, cabinets, flooring makes they give your kitchen the ultimate look. In this article, we tell you how to make sure your remodeling is successful and what you can do to ensure that. It’s important that you find inspiration for your kitchen. When it comes to flooring make sure that you get the right tiles for your floor. The local granite countertop installers will give your ideas on the design and the countertop material to use. It’s important that you precisely know what you want. Determine how much you want to spend on the remodeling. 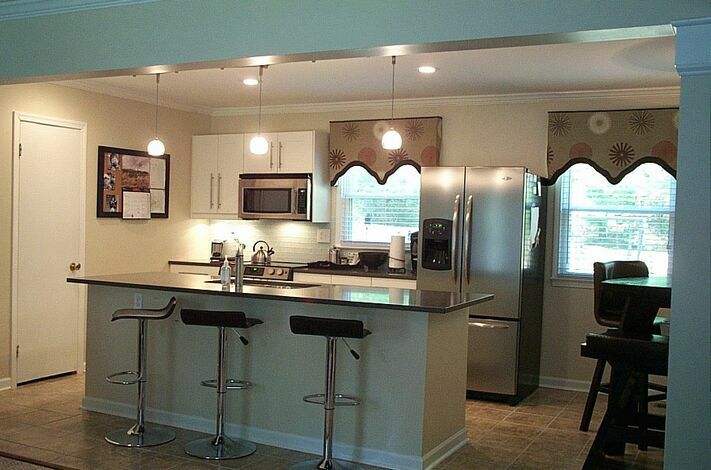 Divide the various sections of the kitchen you want to renovate and draw up a budget for each. Make sure the total of the various fits in the original budget. Once you have the budget you can get quotations for flooring, kitchen countertops, cabinets, and appliances. Make sure the materials you choose are quality and fit in your budget. Get a licensed contractor to do the renovations. Visit the granite company and work with a contractor who is experienced and has the required expertise. If you are remodeling your cabinets make sure that you choose a contractor who has previous experience. You can get references for good contractors from friends and family Make sure you choose the best contractors to bring out the best. Once you have identified the contractors to work with, design the layout of your granite countertop, floor, and the cabinets. The contractors will give your ideas on how to bring out the best kitchen design. Work with the contractors and make sure that you choose the various elements you require. If you chose to replace your cabinets, it’s important to ensure that you have included all the aspect of the change in your budget. 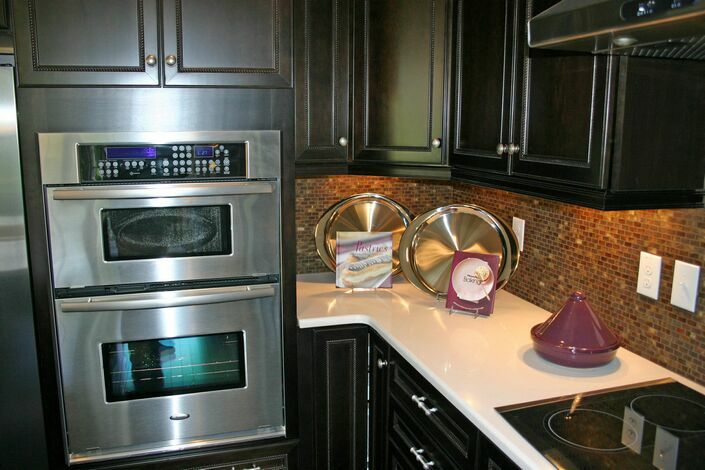 Changing your cabinets can be expensive and its therefore important you budget appropriately. You may need to take down the old ones and fix new ones. If you have a new design, you may need to change wiring and the plumbing system. It’s critical that you review the design of your cabinets before you settle for one. 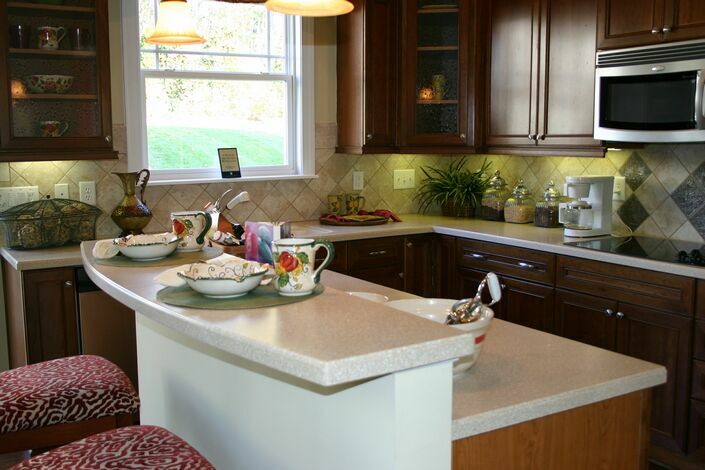 The granite countertop installers will help you choose the best material for your countertop. Choose the countertop material that will last longer, and will bring out your style. Choose the flooring that will complement your cabinets and the kitchen countertop. Tiles are the most common kitchen floor solution. If you choose other floor materials to make sure they can withstand the moisture in the kitchen. Choose the appliances that are stylish and functional. Appliances will enhance the look of your home and it’s therefore important that you choose the best. Proper lighting will give your kitchen a new look. You can hang pendant lights over the countertop. Lighting will illuminate the various features in your kitchen and make it beautiful. Work with the experts and they will advise you on what to consider during remodeling. Below a kitchen remodel do’s. Make sure that you don’t overcrowd your kitchen. Make sure that the kitchen countertop you install is not too huge. The kitchen cabinets you choose should not make your kitchen to appear small and overcrowded. Be keen on the layout to make sure all your appliances fit well in your kitchen. Your kitchen remodel is an investment and it’s therefore important that it’s successful. Use high-quality materials during the remodels that bring out your style. 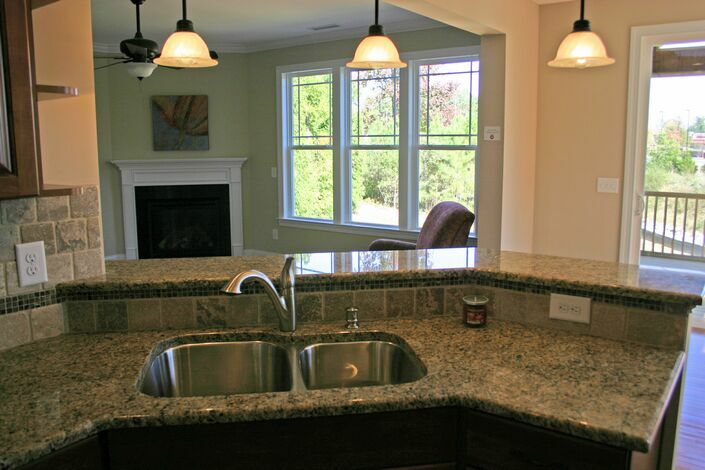 Granite countertops Raleigh are among the best materials for your kitchen countertops. Work with the contractors to ensure that you get the best out of your remodel.